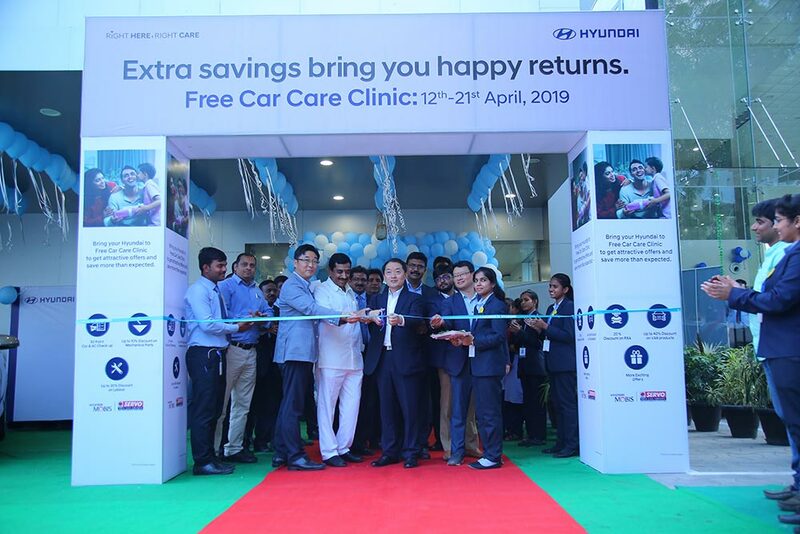 Hyundai Motor India Ltd. (HMIL), the country’s second largest car manufacturer and the number one car exporter since inception, today announced the Nationwide ‘Free Car Care Clinic’. The customer connect program will be held from April 12 – 21, 2019 at all Hyundai dealerships and service points across India. Additionally, keeping in view the ongoing general elections any Indian citizen and a Hyundai customer who has voted can avail additional discount of 10% on Mechanical Labour on showing the Election Ink mark on their finger. As one of the Most Loved and Trusted brands in India, we endeavor to establish best service standards for our customers by offering Higher Value exceeding customer expectations to make their life -A Happy Life. With Free Car Care Clinic we aim to further expand our service portfolio and accrue benefit to a larger set of customers from across the country. This year too, we hope to see Hyundai customers turning up in large numbers to avail special benefits and make the most of this.